Imagine getting into your car and driving through the kind of breathtaking scenery that you’ve only seen in your dreams… all just a few minutes from your cozy and luxurious home. This is what it’s like to live in a Brown Haven home in Asheville, North Carolina, a city that proves that magic is real. Spectacular Surroundings: Nestled into the Blue Ridge Mountains, Asheville boasts natural beauty like no other. If you love to be outdoors, whether to hike, bike, sightsee, or take a leisurely walk, this special town caters to all of your nature needs. Best of all, you can experience all of the spectacular scenery from the inside of your car on the beloved Blue Ridge Parkway, a 469-mile stretch of jaw-dropping landscape. Biltmore Estate: When it comes to historic attractions, the Biltmore Estate is among the absolute best. This stunning chateau was built by George Vanderbilt a century ago, and is now a staple of what makes Asheville so special. After you’ve viewed the magnificent art and antiques in this 250-room home, head outside to enjoy fantastic wine, river float trips, carriage rides, horseback riding, rolling gardens, village shopping, delicious dining, and more. Vibrant Art Scene: Known for its quirky and stylish art scene, Asheville is the place to be if you love to see something new and creative when you venture into town. From art galleries and shops to a booming music scene with incredible venues, there’s something for everyone in the family to enjoy. The Downtown Asheville Art District is always bustling with a remarkable exhibit, while River Arts District offers fun studio tours and classes! 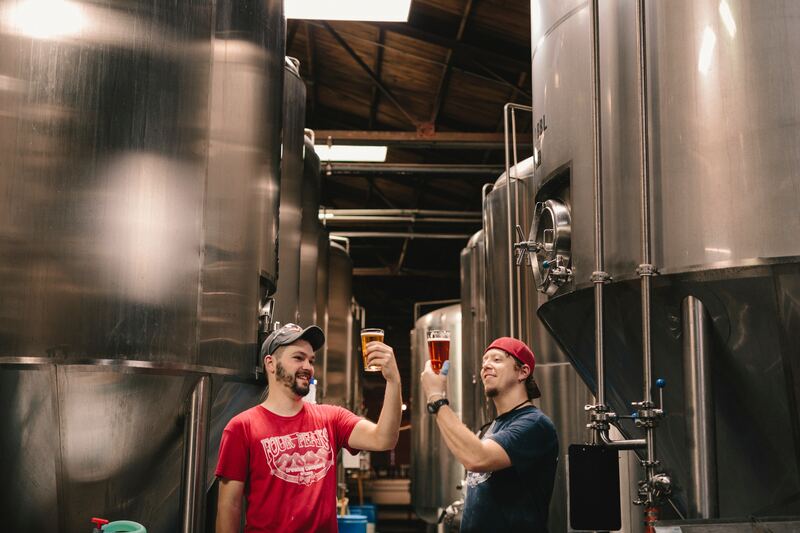 Breweries Galore: Did you know that Asheville has more breweries per capita than any other city in the U.S.? It’s no surprise then that downtown Asheville is always fun. With so many breweries to choose from, each with its own personality, vibe, and of course, incredible beer, you’ll find more than one place to call your own. Stop in with your friends for drinks, good eats, and lots of laughter. When you’re in Asheville, the beer and good times keep flowing! We’re Happy Here: Last but certainly not least, those who spend their days in Asheville are simply happy — and there are so many good reasons for that. Consistently named one of the friendliest and happiest cities in the country, Asheville is easy to love, and always loves you right back. With an abundance of job opportunities, great schools, a thriving food scene, friendly neighbors, one-of-a-kind scenery, and so much more, real happiness is found here. If Asheville sounds too good to be true, believe us when we say it’s all real… and you can call it your hometown in no time. Brown Haven Homes (and Asheville) would love to have you! What are you waiting for? It’s time to see the magic for yourself. For more information on our homes in stunning Asheville, please visit our website or give us a call at 828-318-8201. We can’t wait to work with you! “Whenever one finds and employer and his employees working together in this spirit of mutual helpfulness, one finds a successful organization.